Otter's father, Squeaky, and his uncle Foxfire are Guests of the Golden Mountain. In other words, they live and work in America most of the time. The two men are getting a new job working on a railroad and Uncle Foxfire is very excited about it. He hopes that he will learn all kinds of things about the locomotives, or "fire wagons" as the T'ang (Chinese) people call them. It is his dream that he will be able to bring his knowledge back home where he will be able to use it to benefit his people for "the Great Work." All is not well in China because the British insist on being given the right to sell opium to the Chinese people. The Manchu overlords will do nothing to stop the British, and they are also oppressive rulers. Perhaps with western knowledge and tools Uncle Foxfire and the T'ang will be able to overthrow both the British and the Manchu invaders. Otter wants to go to Golden Mountain with his uncle and father, but his mother refuses to allow it. Then Otter commits a crime. Though what took place was an accident, it is decided that the best thing for Otter to do is to get as far away from the authorities as possible. And so Otter goes to join his male relatives in America. He follows them to where they are working in the Sierra Nevadas, and he finds Squeaky and Foxfire working on a train tunnel which will, it is hoped, one day be a part of the transcontinental railroad. They are common laborers and they are underpaid, overworked, and subjected to terrible working conditions. Why are his illustrious uncle and father allowing the Americans to treat them this way? 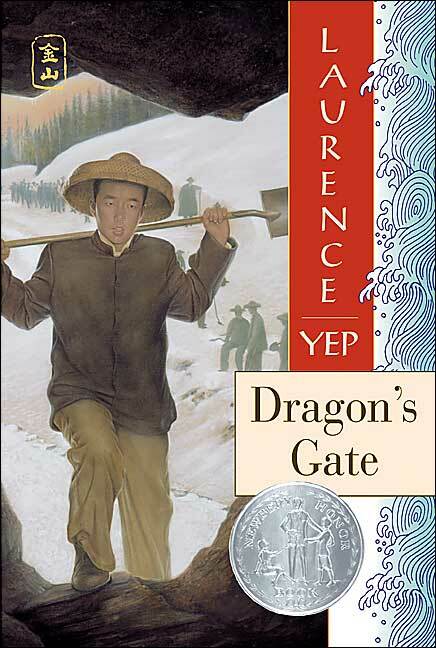 This award winning title not only shows readers what it was like to be a Chinese laborer working on the transcontinental railroad, but it also explores a young boy's struggles with his hopes, his dreams, and his misconceptions. Coming from a life of comfort and privilege, Otter is shocked to discover that his status in China has no relevance in America. He is a no one, and he has no power in Golden Mountain, and yet Otter has to find his own way to ensure that he is heard and so that he can make a difference.